"Firstly, I was impressed by the course itself, obviously," he says. "But there were lots of other huge positives that drew me to want to study at LSBU." Chief among those reasons was our fabulous location, on London's South Bank and close to the heart of the theatre industry. "It's a great place to study," says Nick. "Not only is it near to all the theatres, but the ITV studios and the British Film Institute are also practically on your doorstep. The other universities I was considering just couldn't compete when it came to providing the same kind of opportunities to gain experience in the industry – at LSBU you are surrounded by the theatre industry all the time!" After attending an open day and being impressed by the facilities and the presentation given about the course, Nick took the decision to apply – and hasn't looked back since. "I've enjoyed drama since year 7, so it seemed a natural progression for me to study a related degree, but during the course we studied a lot of theatre technology," Nick recalls. "That's how I discovered that I actually much preferred being off stage and working behind the scenes, and ignited a passion in me for becoming a sound engineer." The practical nature of the course meant that Nick was able to put his skills to the test as part of his studies. For his second year show, Antigone, Nick took the role of sound engineer. "I thoroughly enjoyed it," he says of the experience, "and began to specialise in sound. I was also a member of the drama society, and was the sound engineer for our pantomime one year. It was so successful that it sold out and we had to turn people away – an amazing experience!" Looking back on his time at LSBU, Nick is adamant that the opportunities for gaining hands-on experience were invaluable in helping him stand out from the crowd as a graduate. "I was able to so some work experience on a production of Be Good Revolutionaries at the Ovalhouse Theatre, working as a sound technician," he says, by way of an example. "As a result of that, Jon Lee (one of the lecturing team) asked me to work on a production for his own company, Dirty Market Theatre. It was all invaluable experience." 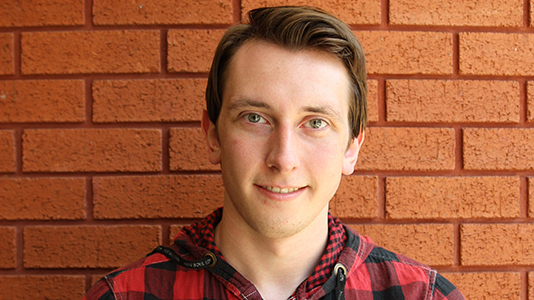 After graduating, Nick found the hands-on nature of his course to be even more useful, as he has since landed a job working for the LSBU Student Theatre Company. "I'm finding it very enjoyable and informative," he says. "It's a brilliant opportunity, as I'm getting the chance to gain experience so soon after university. I'm learning all sorts of new skills and techniques and it's a great opportunity to get in contact with other industry professionals to get more experience in a variety of ways – shadowing them at work, for example, or even getting job offers to work alongside them."